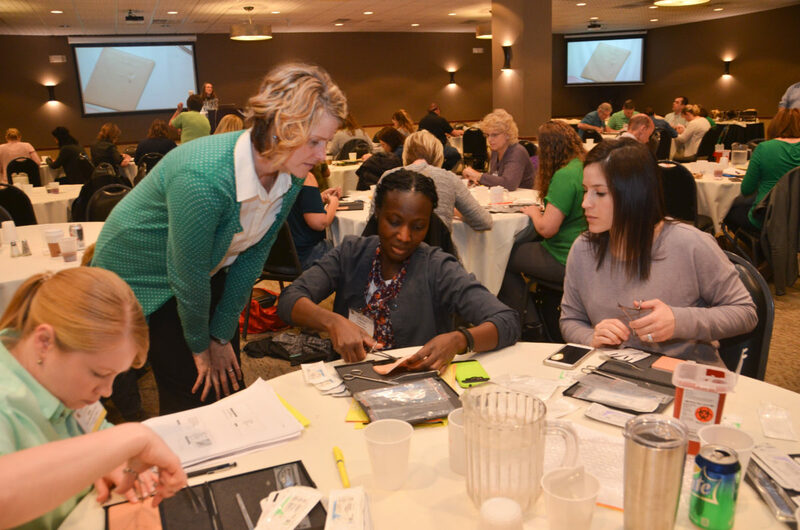 While most of the Doctor of Nursing Practice curriculum is online, occasionally, the students from all over the country make their way to the University of Missouri campus for on-campus days. Level 2 students were on campus March 13-17, 2017 to practice and perform a variety of skills. While here, DNP students participated in a variety of activities in the Essig Clinical Simulation Learning Center and participated in some advanced learning classes at the Peachtree Conference Center in Columbia. In the Simulation Center, the students participated in a variety of simulations, including intimate partner violence, chest pain, sports physicals and emergency room psychiatric assessments. Students also participated in various skill trainings, including central line insertions, lumbar punctures, IUD insertion, endometrial biopsies, splinting and microscopy. For more information on the DNP program, visit our DNP pages.